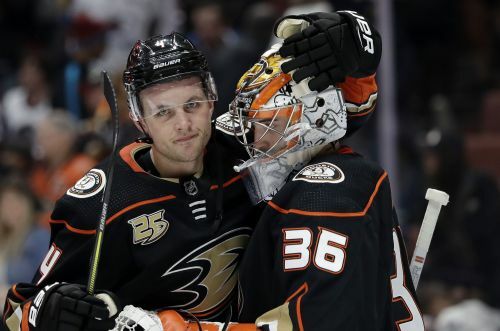 ANAHEIM, Calif. (AP) — Not many players have a weekend like the one Jakob Silfverberg just experienced. NOTES: Colorado's Ian Cole was assessed a game misconduct midway through the second period for kneeing Devin Shore. Morrison said Shore — who did not return to the game — would have an MRI on his left knee Monday but that he was walking around the locker room after the game. ... It is Fowler's 13th game-winning goal, which ties him with Scott Niedermayer for the franchise lead among defensemen.